The Beast of Wolfe's Bay is a pretty allusive book. I've outlined a bunch of it below. It's organized by scene. This is not a totally exhaustive list, but it's pretty decent. Spoilery stuff is in white, and can be highlighted to read, just like on Reddit (unless you're using a mobile device). You're welcome, internet. Brian Wegman fills the role of Beowulf of the Waegmundings. Sheriff Gary Roth fills the role of Hrothgar, King of the Danes. Winifred Roth fills the roles of Freawaru, Wealtheow, & Wiglaf. Anton Asher fills the role of Rothgar's advisor, Æschere. Chris Humphries fills the role of the taunter Unferth/Hunferth. The book opens with the exclamation, "Hwaet!" This is also how the poem, Beowulf, begins. Winifred's campus building is based on Hamilton Smith Hall at the University of New Hampshire, home of UNH's English department (and several freshman lectures I once attended). Winifred has Joseph Campbell's monomyth story structure sketched out on the chalkboard. It actually foreshadows the story arc for the rest of the book. The two students on the right, leaving the lecture hall, are based on Matt Talbot (letterer, etc.) and his wife, Jen Omand (cartoonist, etc.). Their shirts show themselves as they appear in Jen's web comic, Squarecat Comics. Winifred's bag has buttons for Doctor Who, Geek & Sundry, and Watchmen. Winifred's colleague, Dan Logovik, is based on a real guy of the same name. The conspiracy theorist persona was his idea. 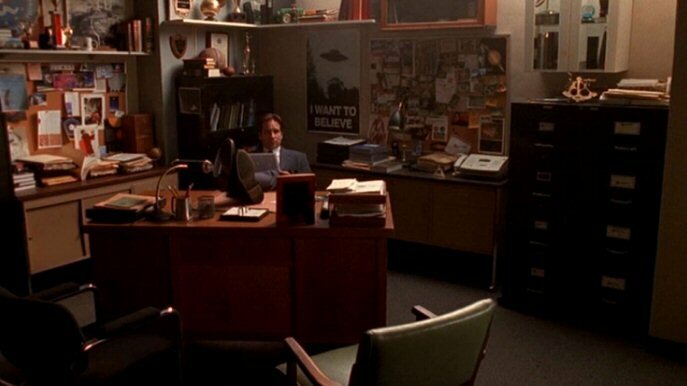 His office, an homage to Fox Mulder's X-Files office, contains a tin foil hat, an Illuminati eye spray painted over his nameplate (which he may well have added himself), and a jar of Vegemite to show his Australian background. He also has a map of Wolfe's Bay with string triangulating the Hart Lake Triangle, foreshadowing the book's central mystery. The map is based on Bemidji, Minnesota and Lakes Bemidji and Irving. The band playing at the spring breakers' party is Party Spark, a party band run by some friends of mine. The spring breakers are drinking beer made by the Bemidji Brewing Company (yes, it's a high-falutin' craft beer). The spring breakers are named after the son of one of my grad school friends, and the husband of one of my past editors. It was funny to me to have these meathead characters named after very academic people. Those same two dudes are very loosely based on Ted McGinley's character, Stan Gable, and Ogre from Revenge of the Nerds. Brian's office door lists grad students who are mostly my own colleagues from grad school. One is my sister, though. Brian's biography of anthropologist Louis Leakey was apparently written by my wife's great-grandfather. Brian's advisor, Dr. Heigel, is named for Hygelac, the king that Beowulf serves who sends him to Denmark. As Brian walks across campus, my wife and I walk past him. The Tumble Inn Diner is a real diner in my hometown, Claremont, NH. However, the look of this diner is based on the Windsor Diner in Windsor, VT.
Sheriff Roth is sheriff of Heorot County. Heorot was the name of the mead hall in Beowulf that King Rothgar presides over. It means "hall of the hart." The Heorot County logo incorporates a crown as a nod to Hrothgar's role as king. When Winifred suggests to Brian that he bring a towel, she is referencing Douglas Adams' Hitchhiker's Guide to the Galaxy. This is the first of several allusions to that work. When Winifred yells out, "reality is frequently inaccurate," she is again referencing Hitchhiker's Guide to the Galaxy. The town of Wolfe's Bay is visually based on Sunapee Harbor, NH, birthplace of Aerosmith. The big building in the main panel of the page is named Omand's Oarhouse, after the previously-appearing Jennifer Omand. Winifred drives the same car as I do. Winifred's license plate is an homage to the DeLorean from the Back to the Future series. Brian mentions Homo Gardarensis, which is a neat anthropological footnote worth reading about. Winifred suggests Rachmaninoff suffered from acromegaly, but Brian sets her straight. I get this confused all the time. Winifred makes her first reference to the Adventures of Baron Munchausen in this scene. I'll let readers spot it. Hint: It sticks out like a sore thumb. The same line is paraphrased by Adam Savage in the opening credits of Mythbusters. The "Ape Canyon" Winifred cites is a famous Bigfoot attack story, taking place near Mt. St. Helens in Washington. When Asher suggests that Humphries tell the attacking sasquatch he doesn't believe in Bigfoot, it is a loose nod to a similar scene from Ghostbusters 2. Brian's suggestion that the attacking sasquatch doesn't like loud noises is a nod to the Beowulf film by Robert Zemeckis, Roger Avary, and Neil Gaiman, whose version of Grendel was hypersensitive to sound. When Brian says "see you on the other side," he is referencing Peter Venkman in the climax scene of Ghostbusters. The fingers that Brian shoots off are analogous to the arm that Beowulf rips from Grendel and mounts as a trophy. Winifred's childhood bedroom has a poster of Wesley Crusher from Star Trek: TNG on the wall. In the words of my wife, "every woman of our generation grew up with a Crusher crush." Winifred's T-shirt is an homage to a famous BBC sci-fi show and is a riff on a line that PhD-holders frequently recite. The Hart Lake Triangle is fictional. However, the stories Winifred cites are pulled from real life, mostly from the Bennington Triangle legends of Vermont, but also the Bridgewater Triangle legends of Massachusetts. Both areas are rural college towns, which helped inspire the setting. Sheriff Roth's sighting is a nod to the Bennington Monster, which was a large influence on the development of this book. Before a massive re-write, the Bennington Monster was the primary focus of the story. It took a backseat largely due to the sensitive nature of real missing persons reports from the mid-20th century. Brian cites most of the scientific arguments commonly used to explain why Sasquatch can't be real. Winifred makes another allusion to Douglas Adams. Winifred says, "...you've caught a sea monster worthy of legend. Cthulhu himself was dangling at the end of that line." This dialogue is a reference to H. P. Lovecraft's Cthulhu mythos (Cthulhu is a demonic/godlike entity commonly depicted as an octopus-headed monster emerging from the sea). It is also, less obviously, a reference to Beowulf's slaying of sea monsters. Zemeckis' Beowulf film interpreted Beowulf's boasting of slaying sea monsters as a fish story, of sorts. The map of Wolfe's Bay on the wall is actually a re-worked old map of Belknap County, New Hampshire, home of Lake Winnepesaukee. It bugs me that so many fictional characters, yet so few people, are named Jack, so I call it out here. One of the deputies is based on kickstarter backer Adam Juda. Asher is a Trekker, and winds up having to explain what Redshirts are to his deputies, who are apparently sci-fi philistines. The deputies fit the description and would normally fulfill the Redshirt trope, but Asher relieves them, spoofing another sci-fi trope entirely. Spoilers (highlight to read): The kidnapper asks Asher if he's read any Jean-Jacques Rousseau, referencing the French philosopher who postulated on the natural state of man when removed from civilization. Asher is kept in a cage marked "Specimen 24601," an allusion to Les Miserables. Jean Valjean is prisoner #24601. This reference is made often enough, but my first time noticing it was in an issue of Marvel Comics' The New Warriors, by Fabian Nicieza. Through some minor dialogue choices, this scene makes allusions to The Life Aquatic, Army of Darkness, and Ghostbusters, plus some old AOL advertising. Sheriff Roth tells the full story of his Bigfoot encounter, which is an amalgamation of several Bigfoot reports I've read about online. The tree-knocking and tree-peeping are commonly cited in Bigfoot reports, as anyone who has seen Finding Bigfoot can tell you. Winifred references the "white lady" phenomenon as a connected piece of regional folklore. She describes it pretty well, so I don't feel like I need to elaborate. When the search party finds Asher's badge by the cave, it is an allusion to Beowulf's company finding Aeschere's severed head by the cave. When Humphries gives Brian his forensics kit, it is analagous to Unferth giving Beowulf his sword, Hrunting. Humphries references Wheaton's Law, which, in my opinion, supercedes all other laws. (highlight for spoilers): Dr. Wendal's full name is Greta Cain Wendal, a reference to Grendel being a descendent of Cain. Her degrees, which are hard to read, include a PhD in Anthropology from Thunderwood College, an MS from the University of Northern Minnesota (another reference to Bemidji), and a BA in Women's Studies from the Green Mountain College of Liberal Arts' College of Extremely Liberal Arts. Which, naturally, must be in Vermont. Dr. Wendal did extensive research on the Clovis People, which she was attempting to connect with sasquatch mythology. This is loosely based on a similar crackpot theory I read on Fark.com. It would most certainly get your tenure application denied. The names of Dr. Wendal's victims/lovers, scrawled on the wall, are mostly Kickstarter backers. The Manifesto written on the wall is never fully shown, but states that "Humanity is too sick to survive," and "Harry and the Hendersons was the wool pulled over the eyes of the populace by the patriarchy to blind us from the truth of Gigantopithecus Wendal." Greta Wendal's cultural references are dated to mid-century, including an allusion to Hollywood Squares (1965–1982) and another to Pollyanna, popularized by the 1960 Disney film. Dr. Wendal begins to describe the habituation process, made famous by anthropologist Jane Goodall. Asher refers to his cage as an "Elephant Man cage," referring to the story of Joseph Merrick who toured on display as a "human curiosity." I thought the half-man, half-beast dichotomy might resonate well in a bigfoot story. The scientists at the Anthropology conference give Winifred a hard time, as she is a folklorist. There's a history of verbal abuse dealt by practitioners of hard science toward "soft sciences" and the arts and humanities. And if you hold an MFA, good luck. Brian exclaims, "dammit, I'm an anthropologist, not a --" which should resonate with all Trekkies out there. The lake monster is an allusion to Act III of Beowulf, which describes Beowulf's battle with a dragon, many years after the first part of the story. People have often struggled to adapt this part of the story because it's awkward, and because Act 2 has such good closure. Michael Crichton did it well, in my opinion, but I was not up to the challenge.